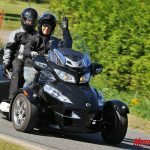 Judging by the comments we receive whenever a three-wheeler is seen on these pages, it’s clear there are some mixed-feelings about trikes. 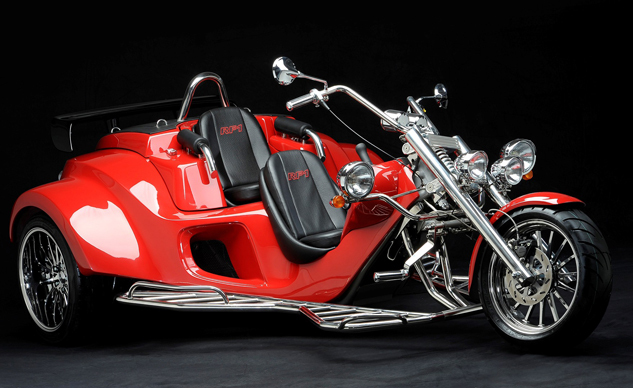 With that in mind, we present to you one of Europe’s largest trike manufacturers, Rewaco. What’s more, the company has just introduced its RF1 model with a CVT transmission. Needless to say, we’re looking forward to reading what you have to say in the comments section. First, a short history on Rewaco. 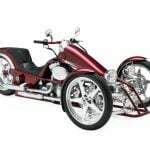 The German-based manufacturer designs and builds its trikes from the ground up as three-wheel models – these are not modified motorcycles. Now, after gaining popularity in Europe, the company is expanding its presence and entering the U.S. market. 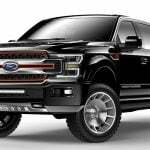 Generally, Rewaco utilizes a 1.6 liter Ford inline-four engine or a 1.5 liter turbocharged Mitsubishi inline-Four engine, both with five-speed manual transmissions (that you shift with your left hand) and a reverse gear. The RF1 Turbo automatic uses the 1.5 liter Mitsubishi engine which is claimed to make 140 hp. It’s mated to, a “7-speed CVT fully automatic transmission with optional pushbutton shifting.” Many of MO’s readers already know that CVTs actually have continuously variable ratios, hence the CV in CVT. We’ll take Rewaco’s claim to mean the CVT in their “automatic” model has the capability to hold its belt at one of seven pre-set “ratios” on the pulley ramps, selectable at the rider’s direction. 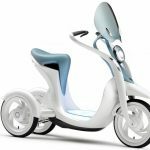 From there the Rewaco trike benefits from a low center of gravity, wide stance, independent rear suspension, unique trapezoidal front suspension, oversized wheels and tires, and bucket seats with full back support for rider and passenger. 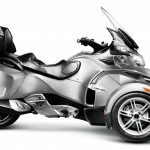 A wide variety of options are available including wind protection, audio systems, 25 color choices and two of the models are available in two-seater or three-seater configurations. Yes, you can even take two of your friends along on your trike parade. 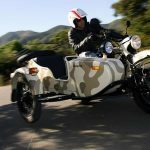 For more information and dealership inquiries about Rewaco trikes, visit www.rewacousa.com or contact Rewaco USA by emailing info@rewacousa.com. You can also call 1-800-519-7001.
Who Says the Spyder isn’t a Motorcycle?